Kevin Harvick started on the front row yesterday at Texas Motor Speedway. After winning stage 1, Harvick found himself a lap down. First, Harvick’s crew had a lugnut flew into the jack which prevented lift of the car. Then, a second blow came with a loose wheel. Harvick was forced to return to the pit lane under green. He fought back to a 2nd place finish. But, Harvick’s not happy. Has Stewart-Haas Racing reached out to NASCAR for a solution or something? “It’s a mess,” Kevin Harvick concluded. How about the team owners perspective? NASCAR issued these guns to save the team a boat load of money while simultaneously leveling the playing field. 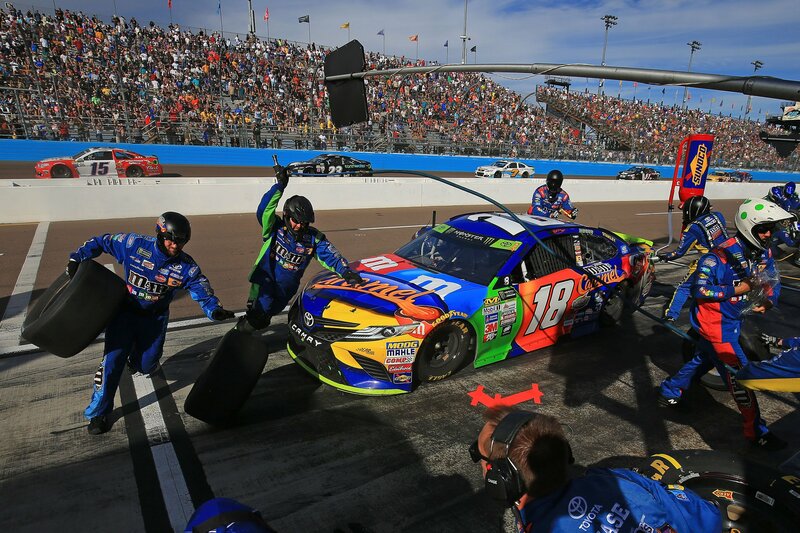 Joe Gibbs Racing specifically was one of the teams that invested anywhere from $100,000-$1,00,000 on pit gun development (the number reports vary). Bob Pockrass: Do you feel like these pit guns are worth it if it saves you the money? “No. I don’t,” Joe Gibbs states from the Texas Motor Speedway media center. Jeff Gluck: Have you had problems? “Yes, we have had problems,” crew chief Adam Stevens replies.